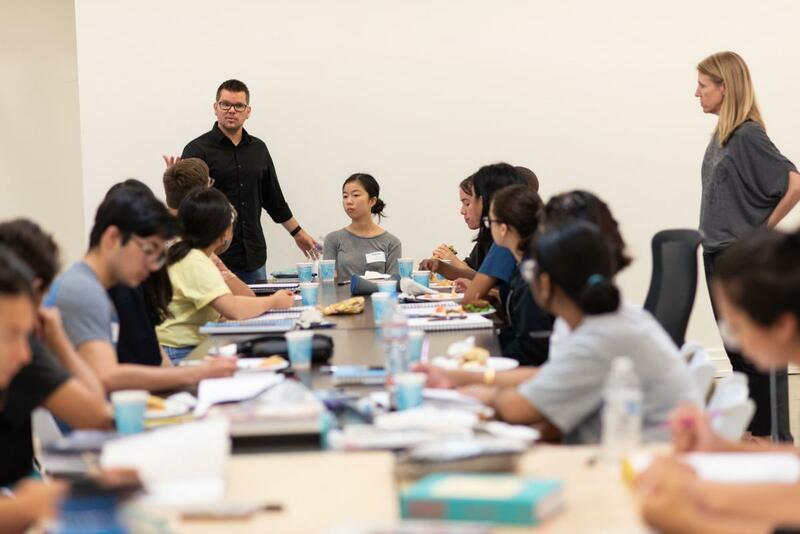 In addition to high quality fine art instruction, college and career counseling, and supportive services to talented high school students, Ryman Arts also provides unique opportunities for students and alumni to experience the thriving creative industry of Southern California. In anticipation for the Sklar Creative Visionary Award Celebration honoring Marvel Studios President, Kevin Feige at the Majestic Downtown in Los Angeles on the evening of November 7, Ryman Arts offered an exciting opportunity with Marvel Studios this summer. 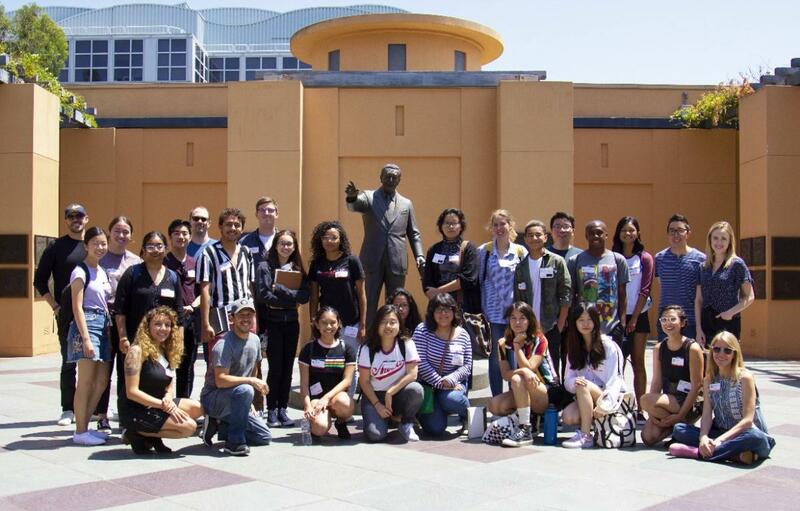 Ryman Arts students and alumni applied for 20 openings to an exclusive behind-the-scenes Marvel Studios tour and to take part in a 3-day Marvel inspired workshop, creating a 20-panel collaboration with guidance from Marvel Visual and Disney Imagineering artists. On the morning of August 13, Ryman Arts students and alumni arrived at the office of Marvel Studios excited for their exclusive inside look into the Marvel Cinematic Universe. “Going to Marvel Studios on Monday and seeing how these artists are creating the visual language of Marvel and its movies were super cool. They set the tone for the whole Cinematic Universe that will extend beyond them for years to come,” remarked Elizabeth Ignatius (Ryman ’17). After the tour, participants met with the Marvel Studios Visual Development team. With the guidance from visual artists Ryan Meinerding, Andy Park, Anthony Francisco, and Jackson Sze, our students and alumni began planning the Marvel inspired project that they would be creating over course of the week. The next day, participants continued to develop the layout design of the Marvel inspired collaboration at the Ryman Arts’ offices. Artist Scot Drake visited on the first day of the workshop, introducing his background and career before leading everyone in an interactive discussion to plan out the direction of the 20-panel collaboration. Exercising artistic and leadership skills developed through Ryman Arts, the participants brainstormed as a team to bring their individual ideas together. 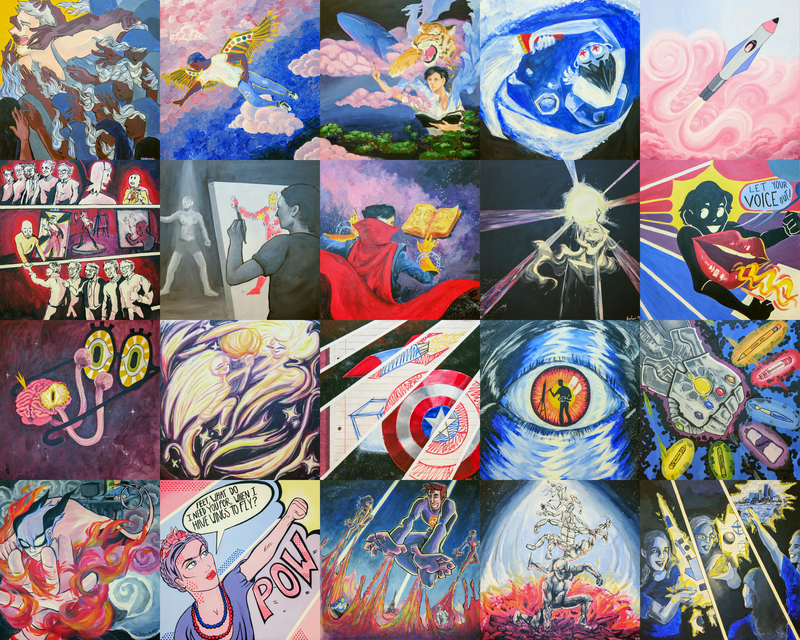 In one week, the students and alumni completed an impressive collaboration, based on the theme of arts education as the hero of society. 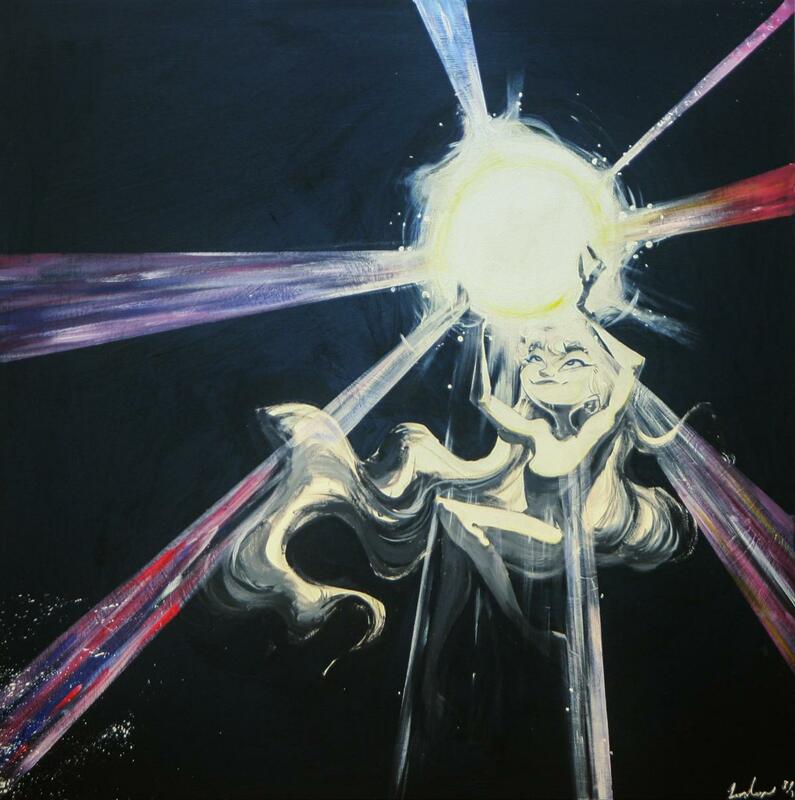 Each of the 20 artworks will be for sale at the Sklar Creative Visionary Award Celebration this fall to support Ryman Arts’ effort in continuing arts education opportunities for our students. We want to thank Marvel Studios, their Visual Development team, the Creative Executive of Walt Disney Imagineering Scot Drake, Marvel Studio’s Brian Gay, and all the participants who dedicated their time and creative efforts to produce the collaborative, Marvel inspired work of art. What a fantastic opportunity for the students and alumni to work with and gain insight from these incredible professional artists! The pieces are beautiful and I am sure the collaborative experience will help them in leaps and bounds.